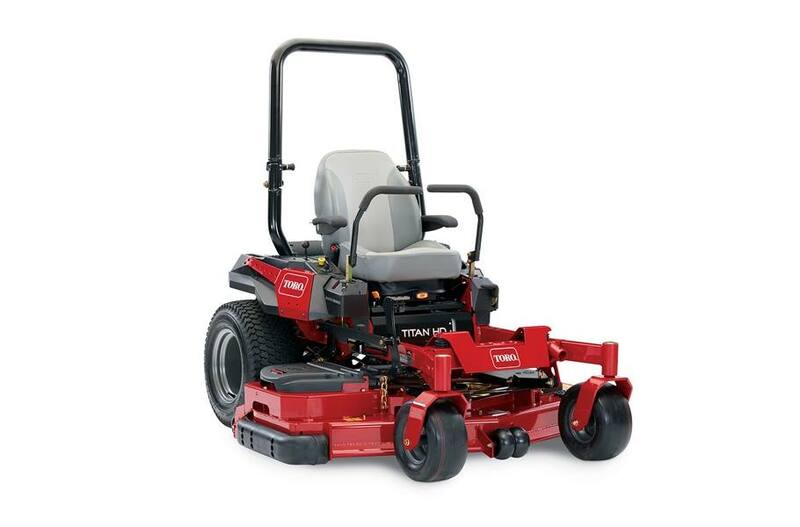 The TITAN HD 2000 Series mowers deliver durability, professional results and performance, all at an outstanding value for budget-minded pros and acreage owners. Tackle your toughest jobs, on or off the mower, with the all-new tool-mounting capability, bringing unmatched utility and productivity right to your fingertips. Rear Discharge TURBO FORCE Cutting Decks - allows operators to trim on either side of the deck. No need to change directions to avoid discharging debris on roadways, sidewalks or flowerbeds. Commercial Engines: Powerful Kohler commercial-grade engines provide professional quality performance. Heavy-duty canister style air filtration system protects the engine from contaminants and prolongs product life. Rear Discharge Deck: The Rear Discharge model allows operators to trim on either side of the deck – no need to change directions to avoid discharging debris on roadways, sidewalks, or flowerbeds, saving time and cleanup. Front: 13 in. x 6.5 in. - 6 in. ; Rear: 23 in. x 10.5 in. - 12 in.